The story surrounding Microsoft and its Scalebound project has been a mysterious one. Is the game cancelled? Is it not? Well, we know it is technically cancelled, as the publisher put the kibosh on it last year, noting difficulties with the developers at Platinum Games. But then the funniest thing happened as the trademark re-emerged, indicating that the troubled project could be on the rebound. The page indicates that the game can’t be bought yet so this could likely be a temporary placeholder until it’s officially re-announced. But everything else appears to be in place. Hmmmm. It’s also worth noting that the game’s features have also been detailed, with both single player and multiplayer support for up to four people, both online and local. So...what’s happening? We fired off an email to Microsoft but haven’t received a response on the matter. But between the trademark filing and the official game page, there’s a very good chance that the Platinum Games project could be on the mend -- and we could possibly see it sooner rather than later. Unfortunately it doesn’t look like we’ll get an official answer on what’s happening until around E3, when Microsoft is planning to have a big presentation and FanFest. 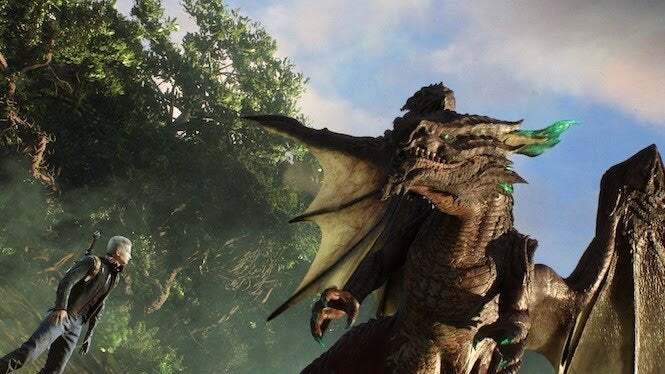 During that time we should know what Scalebound’s true fate is -- and if this dragon is once again ready to take flight.